For customers looking to pick up a PlayStation 4, we’ve got some good news and some bad news. 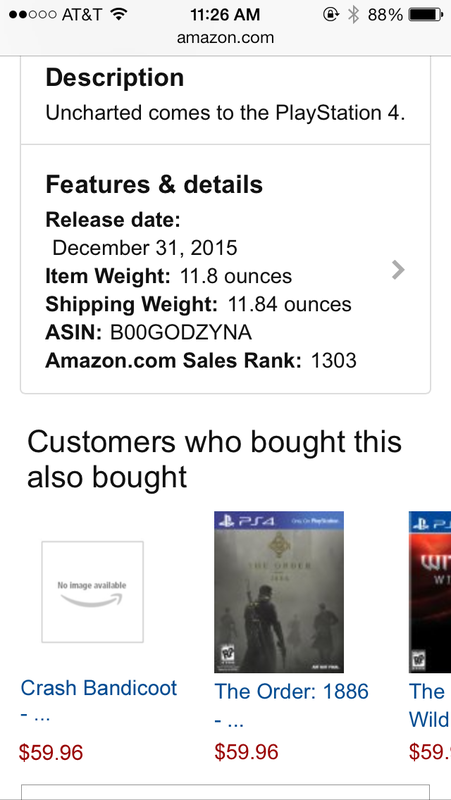 The good news is that Amazon has the console back in stock. It’s already become the #1 best-seller, however, so you might want to move fast to get one before it sells out yet again. 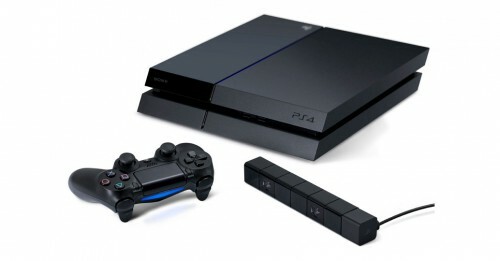 The bad news, however, is that the price of the PS4 has risen in certain regions. Last week, its price increased by $90 in Chile, and today, Sony announced that the price in Canada will increase to $449.99. The price of an individual controller and the PlayStation Camera now will be $64.99 each. These new prices will go into effect tomorrow. 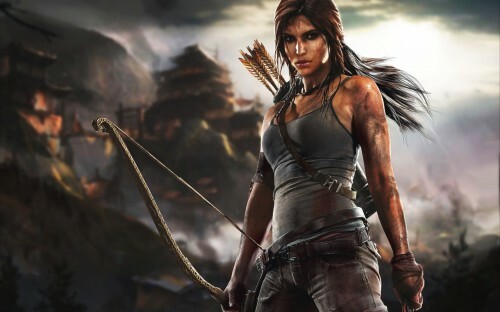 We’d hoped it was just a rumor, but with Sony’s confirmation, there’s little hope of that. How do you feel about this price increase? The PS4 has been in such high demand, it seems to go out of stock as soon as it appears on the shelves, but at least for now, it’s back in stock at Amazon. If you’ve been planning to pick up a PS4 but haven’t been able to find one, now’s your chance. Head on over to Amazon and hope you make it before they sell out again. We have to say, even if it’s frustrating for customers when an item goes out of stock this often, it’s fantastic news for Sony. The PS4 has been a phenomenal success so far. If you’ve been interested in the Xbox One Media Remote, we’re pleased to tell you that Amazon has just cut the price from $24.99 to $19.96. 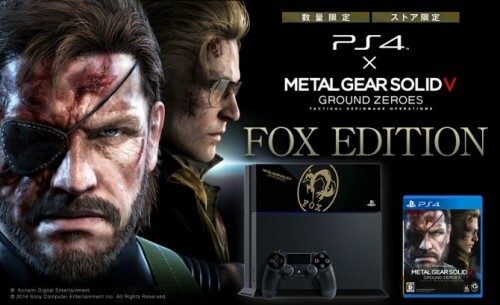 Since it doesn’t release until March 7, you still have a few days to get in your preorder. Additionally, thanks to Amazon’s preorder guarantee, if you already ordered it, your order will automatically be reduced to the lower price. 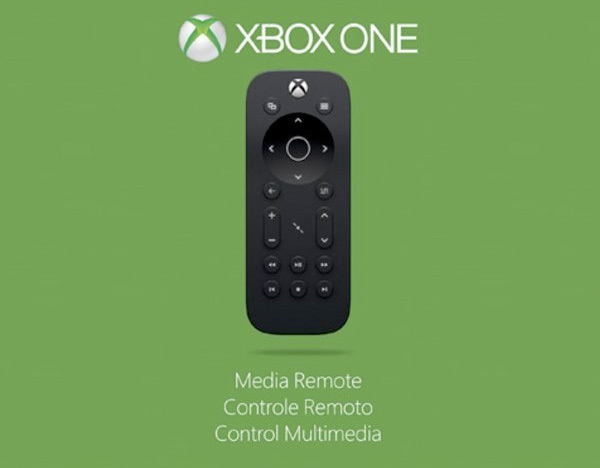 You’ll be able to use the Media Remote to navigate through all of your entertainment options, whether you’re watching Blu-ray movies and streamed videos on your Xbox One or watching TV. This remote control is another part of Microsoft’s goal for the Xbox One to become the central device of players’ living rooms. Click here to check out the remote on Amazon. 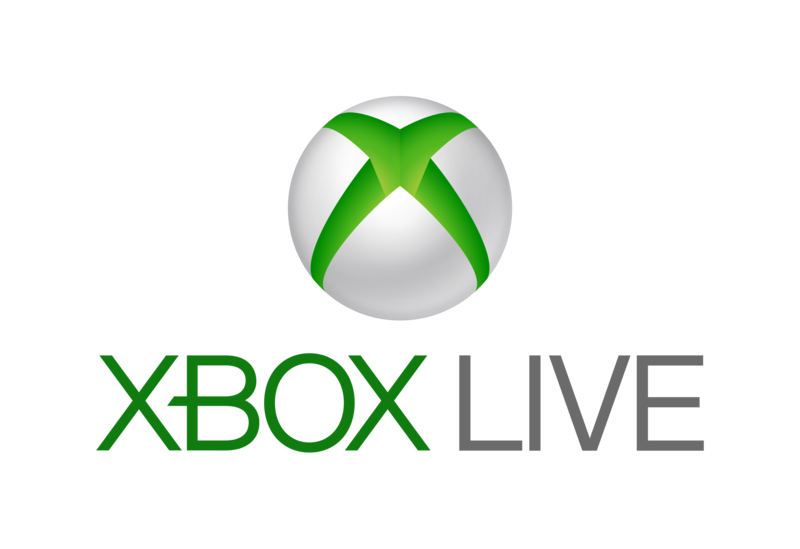 If you’re interested in Xbox Live Gold, you’re in luck. Amazon and Best Buy both currently have 12-month subscription cards on sale for only $40, which is $20 off the usual price. This is great for both players who don’t have an Xbox Live Gold subscription and those who do, as you can stack subscriptions on top of one another. Xbox Live Gold gives you access to online features, online multiplayer, and two free games each month, among other benefits. Deals like this are always nice, especially if you plan to purchase or renew a subscription anyway—why wait, when you can get it at a reduced price? Check it out at either one of the retailers to take advantage of the sale. Almost immediately after its launch in Japan, the PS4 hit the top of Amazon’s Japanese best-seller list. We’re talking about the console alone, without the camera—the version bundled with the camera didn’t make it nearly as far, and came in around 12th place. On the other hand, when it comes to multiplatform game sales, more Japanese gamers are buying PS3 copies than PS4 copies. The PS4 has been quite successful in the months since its launch elsewhere, and its launch event in Japan was met with much excitement. What sorts of sales numbers do you think we’ll be seeing for its first day on the Japanese market? We’ll keep you updated. Crash Bandicoot on the PS4? 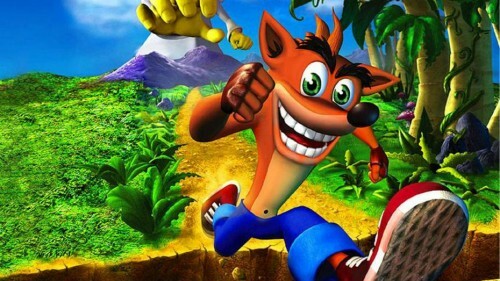 Could we be getting a new entry in the Crash Bandicoot series? 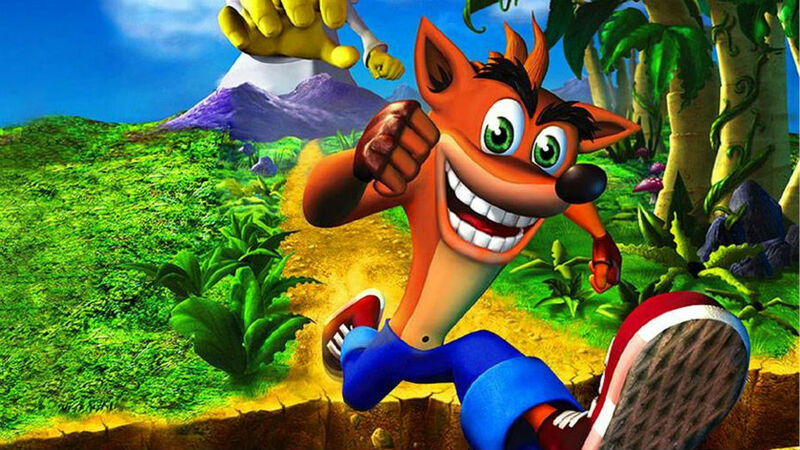 There hasn’t been a new Crash Bandicoot game in years. 2010’s iOS racing game Crash Bandicoot Nitro Kart 2 was the most recent one, and it’s been even longer since we’ve seen an addition to the main series. 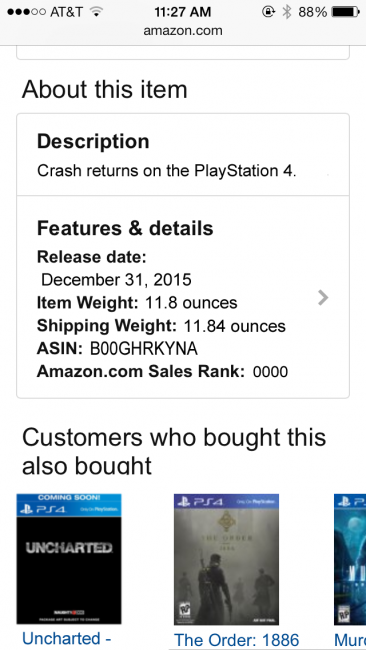 Now, a user on Reddit claims to have seen a preorder page on Amazon US site for a Crash Bandicoot game on the PS4. Although the page has since been taken down, the user has screenshots to back up their claims. Could this be another leak through Amazon’s preorder listings? Or is it a mistake—or a hoax? 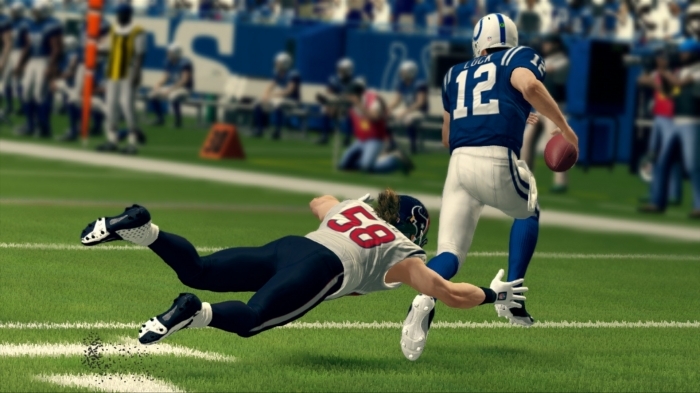 Take a look at the screenshots and let us know what you think. If this is legitimate, it’s exciting news for all fans of the old platformer. We’ve heard some strange rumors lately, including a theory that Microsoft plans to sell its entire Xbox division to Amazon. Amazon recently bought Double Helix Games, so the thought of them entering the gaming industry makes sense, but this would still be an unexpected move. @ManfrediMiconi @XboxP3 Ridiculous, cannot believe people would even believe something like this. Well, when asked by a Twitter user, Microsoft’s Aaron Greenberg addressed the claims, describing them as “ridiculous” and expressing his disbelief that people would give the rumor credence. You would think that would put an end to it, but of course, some people just think he’s lying. We’ll keep you updated if anything more comes of this rumor. Yesterday, Amazon’s Canadian site briefly displayed a preorder page for an Xbox One Media Remote. It has since disappeared, but thanks to Google Cache, we have an image of the device, along with a few details. The Media Remote was price at $24.99 in Canadian dollars, which would make it $22.69 in the U.S. It was listed with a release date of March 4, and, bizarrely, was described as game with a pending ESRB rating. From the picture, its design is basic enough—directional buttons, standard media controls (volume, play, pause, etc. ), and buttons for the Xbox One menus. With the Xbox One’s media features, this could be a great device for many people. Since the listing has been taken down, however, we can’t be sure this the Media Remote is legitimate until we hear an official announcement (we’d be very surprised if this was fake however). 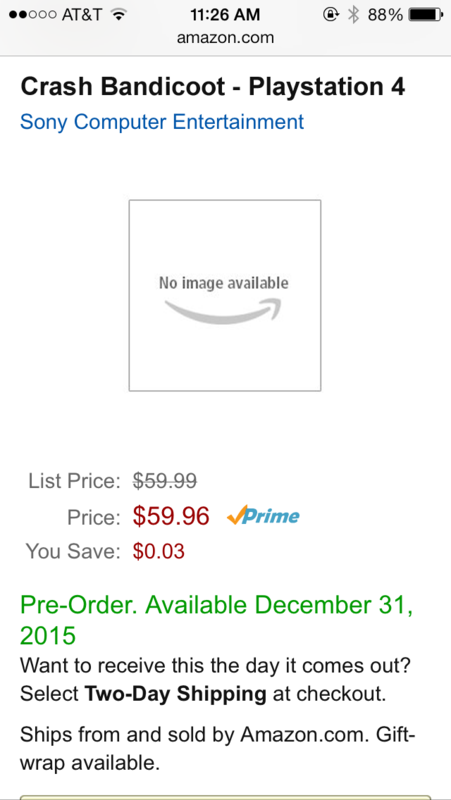 You can check out the now gone listing at Amazon right here. 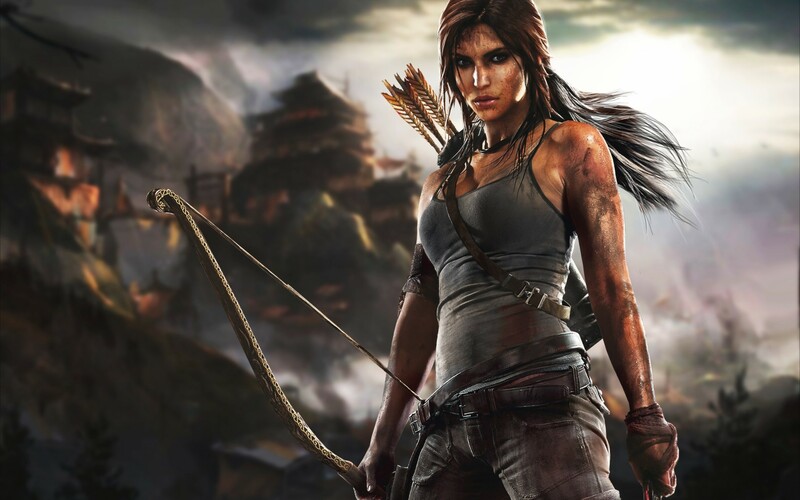 The PS4 has been doing much better than its competitor in the United Kingdom, to the point where Tomb Raider: Definitive Edition sold over twice as many PS4 copies as Xbox One copies in the UK. Ketu Patel, who is the category leader for video games and software at Amazon UK, has said the gap between the two consoles is pretty big. When it comes to the consoles themselves, he added that the PS4 is the number one bestseller, and the Xbox One is in the top five. He feels Titanfall’s exclusivity will boost the Xbox One’s sales and narrow the gap, but he didn’t sound convinced that it would close the gap entirely. We can’t be sure why the PS4 is so much more popular than the Xbox One in the UK—is it the game selection? the technical specs?—but it’s definitely a noteworthy trend. Metal Gear Solid V: Ground Zeroes, the prologue game meant to lead into The Phantom Pain, can be preordered for $39.99. Dying Light, the open-world zombie survival game, can be preordered for $59.96, and anyone who preorders it will also receive a $10 Amazon credit. Rayman Legends, which includes Xbox One-exclusive costumes, can be preordered for $39.99. 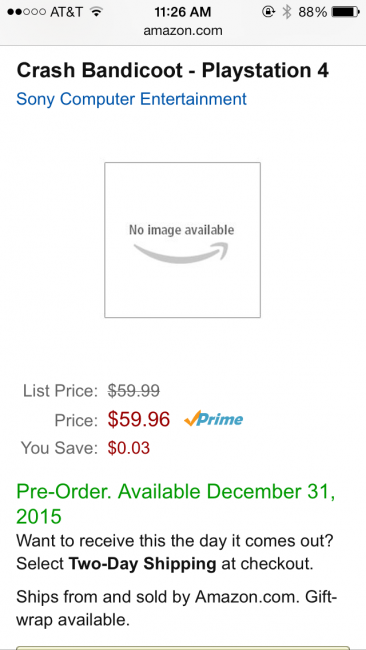 The LEGO Movie Video Game can be preordered for $49.96. All of these games come with Amazon’s guarantee that if the price of the game decreases between the time you order it and the time it releases, you will be charged the lower price. Madden NFL 25 is on sale for $42.62. Call of Duty: Ghosts is on sale for $47.00. Zumba Fitness World Party is on sale for $39.98. NBA 2K14 is on sale for $50.00. Forza Motorsport 5 is on sale for $50.84. Ryse: Son of Rome is on sale for $48.76. Dead Rising 3 is on sale for $49.80. FIFA 14 is on sale for $48.98. Need for Speed: Rivals is on sale for $48.99.